Merry Christmas 2018 coming soon with – 2018 First Christmas with my hot New Fiance t-shirt. Beautiful and cool with t-shirt for everyone. You and friend will be satisfied with this new shirt. 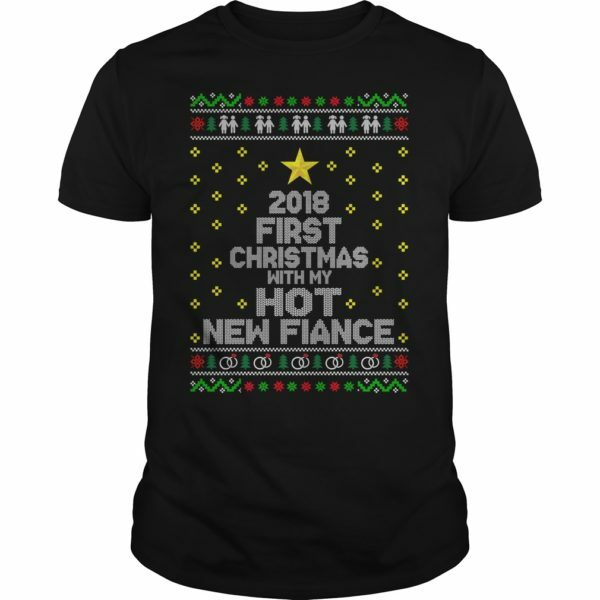 Perfect gift idea for the Christmas 2018. More than styles sweater, hoodie, long sleeve, t-shirt , ladies tee….